There are kids who are born with health conditions and disabilities, while others discover their Unique talents. So, here are the few unusual kids you won't belive they exist or existed. 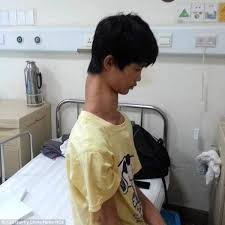 Fu wengui: He's from Beijing, China, and was born with three extra vertebrates in his neck, he had congenital scoliosis. The result was that he had an unusual long neck... Seriously he was in pain and wasn't unable to walk properly. Arya permana: He's a morbidly obese child that has been dubbed the world's fastest kid over the years, even regular clothes doesn't fit him. He had to always wear a wrap and hey, he's always hungry, we he should because he weighs over 423 pounds omg!!! Gabby Williams : gabby made headlines when she was nine years old and she weighed 11 pounds, she aged slowly, it likely takes her 4 years to age 1 year. 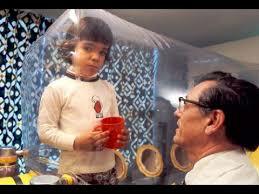 David vetter: though he has passed away, he was a real life boy who lived in a bubble...yeah, he suffered from SCID, which is a hereditary disease, he died at the age of 12. Kristina pimenova: Kris is an 11 years old supermodel who has been dubbed the most beautiful girl in the whole world... She has features that you would only find in adult woman. Richard sandrak: while he was growing up, he was very unusual kid who was dubbed, because he was a child body builder, "the world's strongest boy". 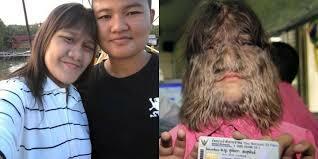 Supatra sasuphan: she has been called the wolf child and the world's hairiest girl, some will see it as a nightmare, but hey! 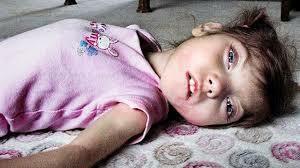 Supatra loves her looks, that's because she's the most popular in school.. She was born with Ambras syndrome. 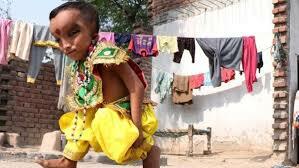 Pranshu: this little boy is an Indian from Punjab, he was born with large forehead and narrow eyes.. Can you believe that he is worshipped by his fellow villagers as A God. These are just the few we've got for you.. Kindly fellow for more interesting news and Gists. The result was that he had an unusual long neck... Seriously he was in pain and wasn't unable to walk properly.